We offer three web hosting plans, each one of them is designed to suit the needs and meet the expectations of our clients. Our bronze hosting plan is best suited for single web site hosting, while our silver & gold plans are best suited for multi web site hosting. 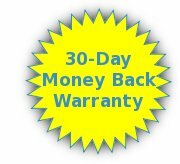 All of our web hosting plans are backed up by a 30-day money back warranty, If you are not satisfied you can ask for a refund, within the first 30 days (including non-business days) of your contract.